Brenda Joyce Reynolds Smith, 73, of Farmington, passed away Sunday, May 8, 2016, at her home. She was born Aug. 25, 1942, in Carlsbad, the daughter of Herman Wayne and Leta Mae (Fore) Reynolds. In 1960, she married Ronald F. Smith, and the couple had two children together. 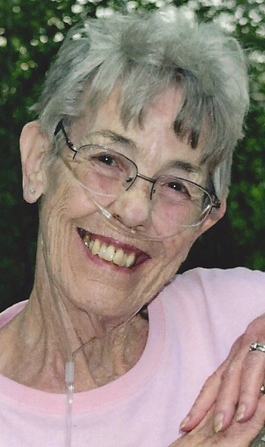 Brenda pursued a bookkeeping career later in life and utilized it until her passing. Despite her struggles, her life was devoted to her family, children and grandchildren. She was a dedicated wife, mom and grandma, an outstanding cook, and loved to bake, can, and make jellies. When it was cold out, Brenda would knit, crochet and sew. She enjoyed camping at the lake and water skiing. Her passion was working in her yard and tending to her rosebushes. She was a great woman with a lot of compassion and great spirits. Brenda also left behind her precious dog, Brittany. She was loved by many and all will miss her dearly. Survivors include daughter Elizabeth L. Smith; brother Don Reynolds and wife Jeannie; sister Rita Miller and husband Mel; three grandchildren, Branden Rich and wife Mandy, Kasanudra Gomez and husband Felix, and Brandon Phillips; great-grandchildren Carsen Rich, Abbey Rich, Bentley Gomez, Audi Gomez and Kelton Gomez; and many friends and clients that Brenda helped over the years. She was preceded in death by her husband, Ronald Smith, in 2003; son Steven D. Smith; parents Herman and Leta Reynolds; brother Ronnie W. Reynolds; and sister Patsy Waddell. Funeral services were held Thursday, May 12, with Pastor Brent Heddin officiating. Graveside services were held Saturday, May 14, at Woodbine Cemetery, where she was lain to rest beside her husband, Ron. Pallbearers were Branden Rich, Felix Gomez, Darold Clark, Don Reynolds and Mack Waddell. The family wishes to thank everyone for their support, thoughts and prayers. Arrangements are under the direction of Brewer, Lee and Larkin Funeral Home. Condolences may be expressed online at www.serenityandcompany.com.